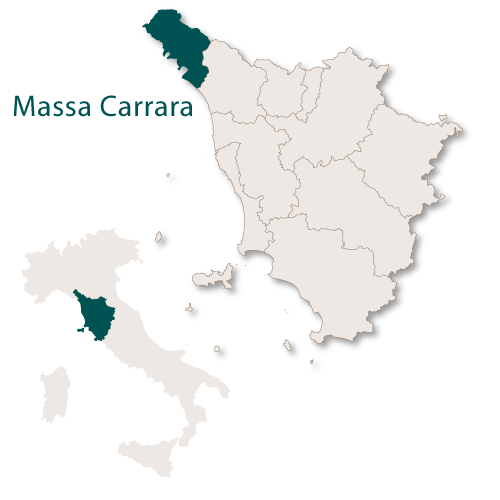 The province of Massa-Carrara covers an area of 1,157 sq.km. 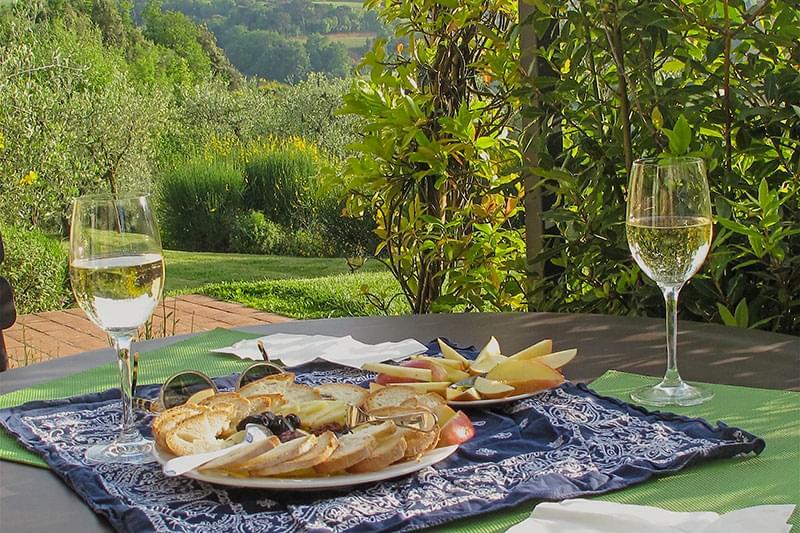 It is the most northern of the Tuscan provinces and borders the region of Liguria to the west, the region of Emilia-Romagna to the north, the province of Lucca to the southeast and the Ligurian sea to the southwest. 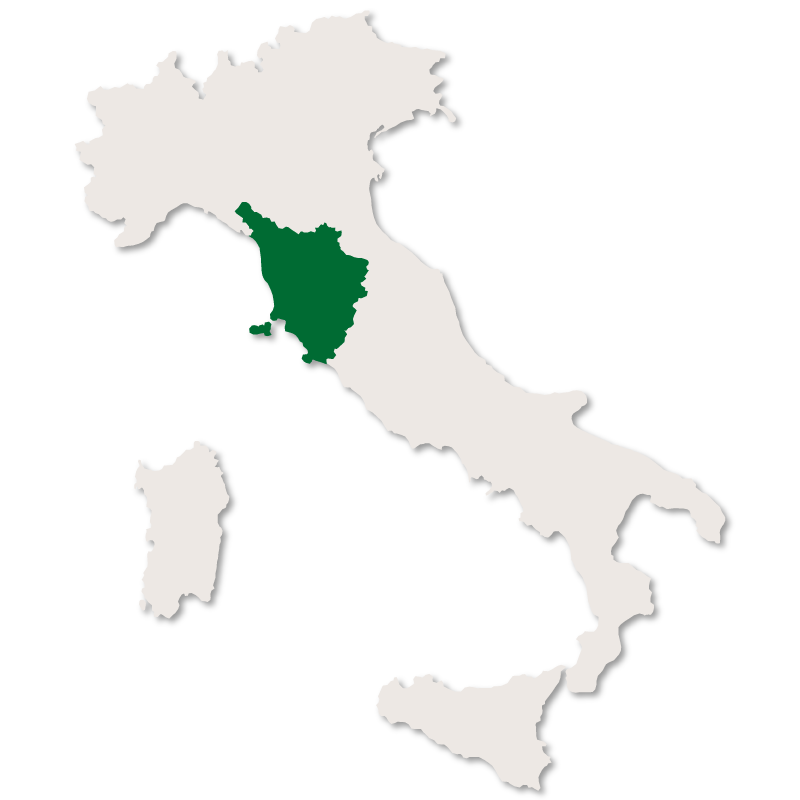 Geographically the province is roughlyThe province of Massa-Carrara covers an area of 1,157 sq.km. 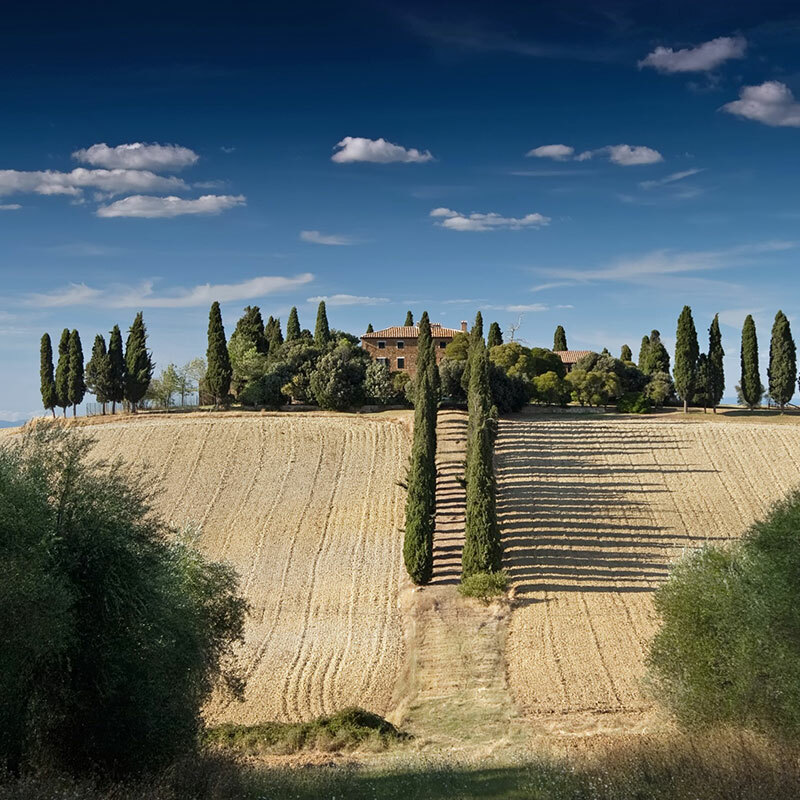 It is the most northern of the Tuscan provinces and borders the region of Liguria to the west, the region of Emilia-Romagna to the north, the province of Lucca to the southeast and the Ligurian sea to the southwest. Geographically the province is roughly divided into two sections, the coast which is relatively flat and has long beaches and the inland area which is very mountainous. 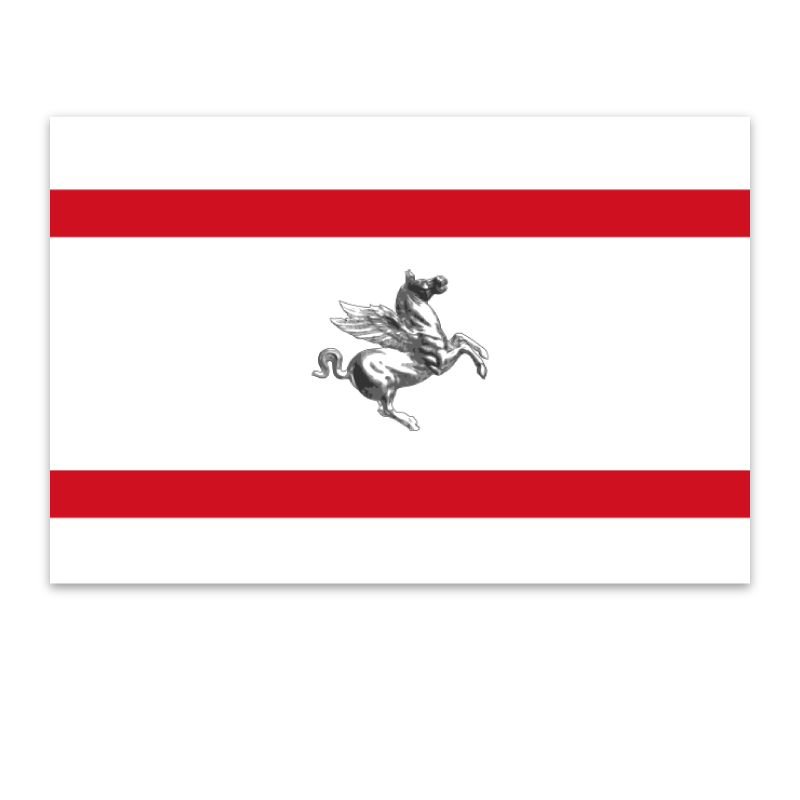 Massa is the joint capital, along with Carrara, of the Massa-Carrara province of Tuscany. 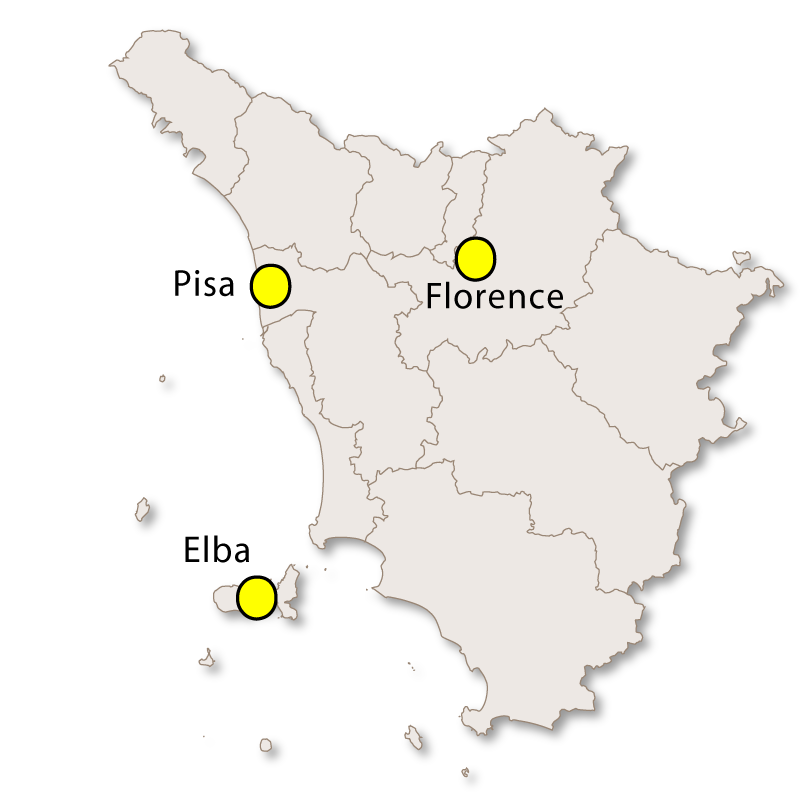 It is a coastal town running along the Tyrrhenian sea and was first mentioned as early as the 2nd century. The two main squares in the town are Piazza degli Aranci and Piazza Mercuri. The Malaspina Castle, constructed in the 15th century and overlooks the city from a nearby hill. 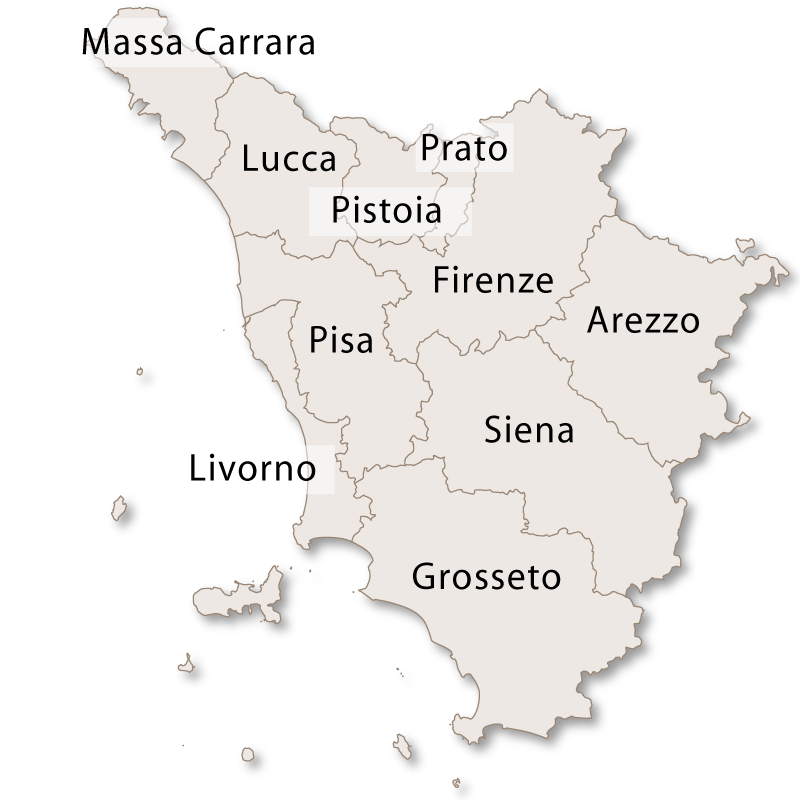 Carrara is the joint capital, along with Massa, of the Massa-Carrara province of Tuscany. 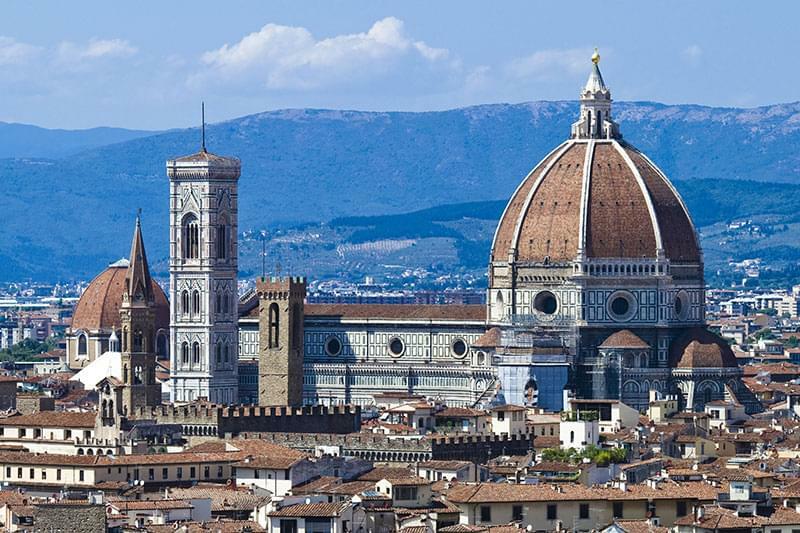 It is famous for the white and blue-grey marble which is quarried from the mountains above the city. 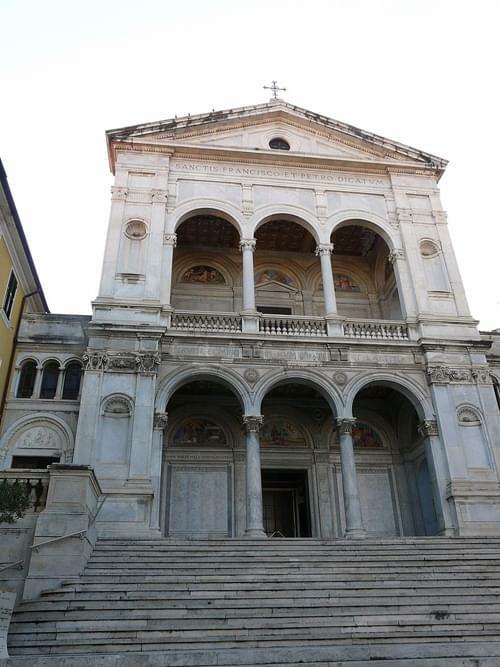 The Cathedral of Sant'Andrea which was built in the 12th century. 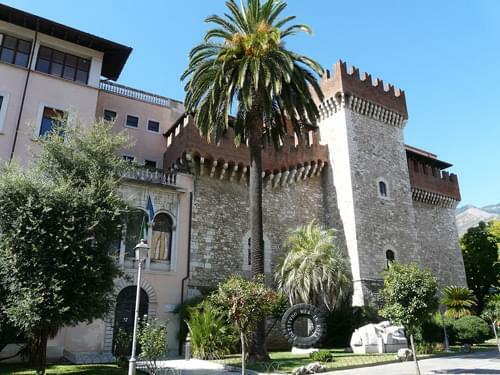 Palazzo Cybo Malaspina (also known as Palazzo Ducale) was built over the top of an old Lombard fortification in the 16th century. It is now a Fine Arts Academy. Chiesa del Suffragio, constructed in the late 17th century and then refurbished in the 19th century. Chiesa e convento di San Francesco (church and convent of Saint Francis) which was built between the years 1623 to 1664. Santuario della Madonna delle Grazie alla Lugnola, consecrated in 1676. 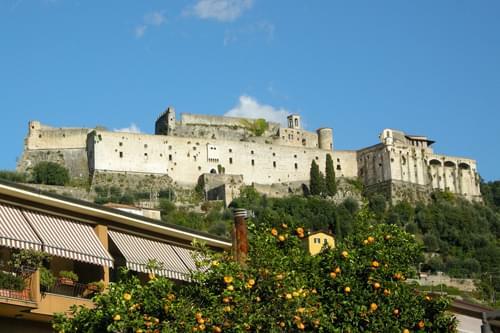 This is a walled town which has been of some importance since the early middle ages. The original town walls were constructed in 1478 and then rebuilt in the middle of the 16th century. They were finally largely demolished in 1835 in order to give air and light to the surrounding houses. 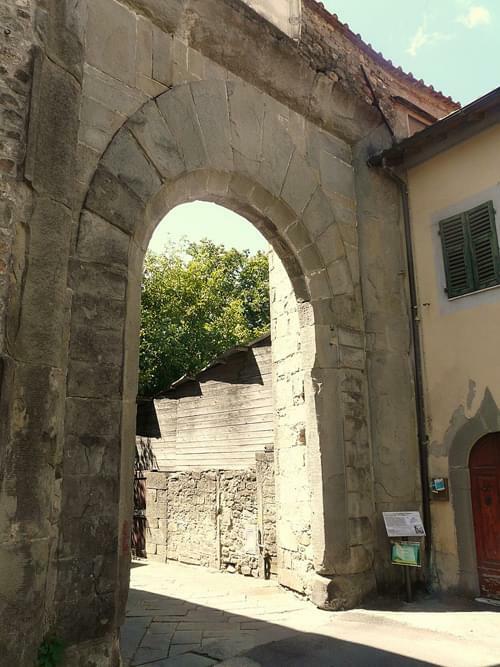 Only a small portion remains along with three of the original entrance gates, Porta Sarzanese to the south, Porta Modenese to the north and Porta Nuova to the east. The Baroque Fountain in the centre of the main square, Piazza Medicea, which was erected in 1683. Il Convento degli Agostiniani, an Augustinian monastery founded in 1391. Orto Botanico dei Frignoli, a botanical garden and nature preserve. Fivizzano Museum of Printing, located in the Palazzo Fantoni Bononi, was created by Loris Jacopo Bononi to honor the printer Jacopo da Fivizzano who printed the first books with typed characters around 1470. An annual historic archery festival 'Didfida degli Arceri di Terra e di Corte' is held in Piazza Medicea every summer in the month of July. divided into two sections, the coast which is relatively flat and has long beaches and the inland area which is very mountainous. An annual historic archery festival 'Didfida degli Arceri di Terra e di Corte' is held in Piazza Medicea every summer in the month of July.